Welcome to Svoge Heritage Program! Svoge Municipality is one of the largest in Bulgaria. It lies in a geographic area of strongly rugged mountainous terrain, with a number of gorges, precipices and caves. These features affect both to the Historical geography of the area and to the characteristics of cultural monuments. Concerning the Historical geography the mountain landscape does not provide appropriate conditions for development of sedentary agricultural societies and hence the emergence of large urban agglomerations. Because of this reason in the area lacks large ancient cities (which generally are situated in flat and fertile fields) as well as the typical for the First Bulgarian Empire agglomerations. Exceptions are the prehistoric settlements localized in today's villages Bov and Rebrovo. The archaeological sites of this type usually are identified as remains of first agricultural civilization in Europe". Unreachable and difficult for living area, however, has provided excellent conditions for communities dealing mainly with stockbreeding such as the Thracian tribes. It had been also an excellent place for protection in times of enemy attacks and insecurity. That’s why the most distinguished monuments in the area are those from the time of Huns and Avars invasions (V-VI c) as well as from the period of Ottoman rule. Exactly these two categories of cultural objects (Late Roman fortresses and Renaissance monuments of 17-18 century) characterize the historical appearance of the region. If Svoge region should be described with one word this would be "Bulgarian" or "Christian". Hidden in the unapproachable mountain slopes, inaccessible to conquerors and also guardians of the old Bulgarian traditions, the churches and monasteries in the mountains for centuries were symbol of the Bulgarian spirit. At the territory of municipality of Svoge cannot be found other religious monuments than the Christians and the visitors call the region "The sacred mountain". Among the experts is unanimous the opinion that Svoge and the area is one of the richest of Christian monuments in Bulgaria. The biggest part of these temples is over 300 years old and some of them are built on the foundations of older churches which history lies deep in the ancient times. The frescoes of these temples are amazing - they express the whole colorful worldview of old Bulgarian society. The consecrated grounds are an ancient tradition coming from the distant past long before adoption of Christianity. It is assumed that they are related to the old beliefs in the natural forces and the need to propitiate them by gifts and sacrifices. In Bulgaria the greatest numbers of votive crosses are situated in modern western part. 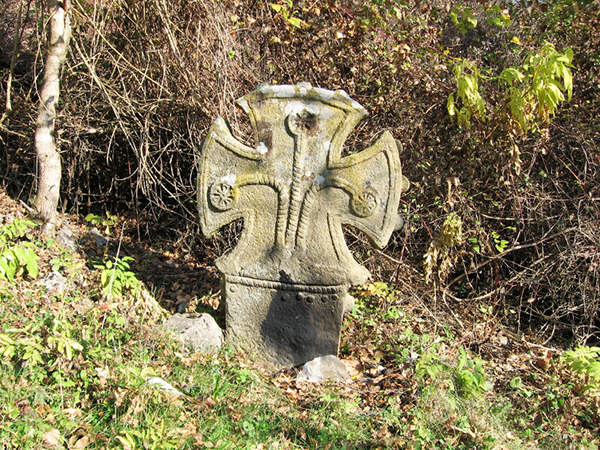 At the territory of municipality of Svoge the crosses are hundreds. 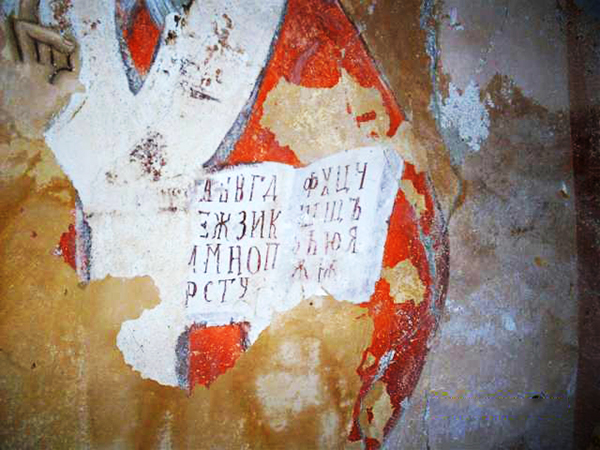 In 1921 the artist Ivan Enchev-Vidio who visits the village of Iskrets to document old crosses, writes: "In the village and its surrounding area in the fields and hills there are about 50-60 consecrated grounds dedicated to different saints and owned by different families”. This web site presents only the beginning of the collection of votive crosses. Between all crosses here we publish only the oldest dated back to the 18 and 19 century. This collection will grow with time as these monuments are one of the greatest treasures of the region. 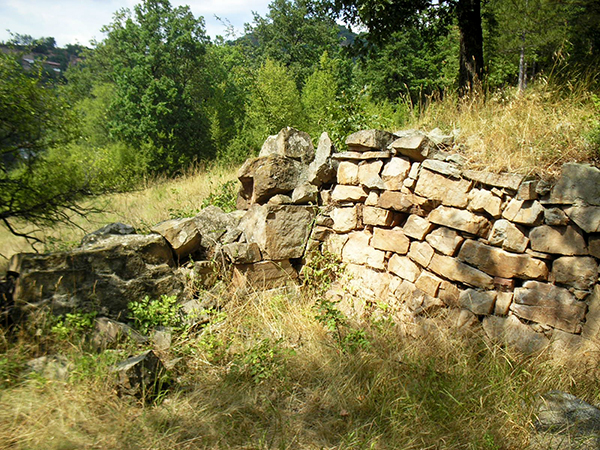 Old fortresses in the Iskar Gorge, left from Thracian times, Byzantine and Bulgarian kingdoms have already long been subject of continued interest. A number of legends tell stories about the unreachable strongholds in Thracian Haemus (Stara Planina), about the old fortresses from the time of Bulgarian kings Krum and Kaloian and their heroic defense against the Turks. Particularly interesting are the legends about the Crusaders of the Fourth Crusade (1202-1204) who “passed through the Roman road near the village of Breze (led by Emperor Baldwin)”, were “settle on military camp in the locality "Kreta" near the village of Bukovets” and “founded the present village of Bov”. 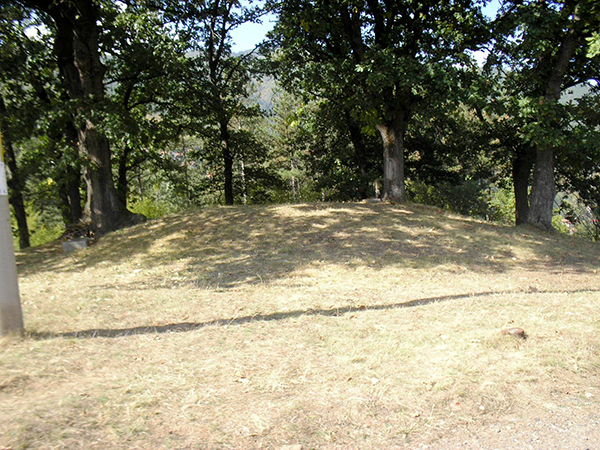 The fortresses located in nowadays municipality of Svoge never have been studied. Most of them are situated on inaccessible peaks and have never been visited by specialists. Many of these places are rather legendary than real. And yet ... in the Iskar gorge exist strongholds and their remains are described herein. Tumuli (mounds) are burial monuments from the time of the Thracians (the second half of the First millennium BC). It is assumed that the mountains around the Iskar River have been inhabited by Thracian tribe Triballi. They are first mentioned by Herodotus (490-424 BC ) and the most famous monuments left by them are Mogilanska mound in Vratsa and Rogozen treasure. The Thracian mounds along the Iskar Gorge have never been studied. Nothing is known also about the urban structures from that period. Therefore the localization and the archaeological registration of these monuments are very important for clarifying the ancient history of the region. 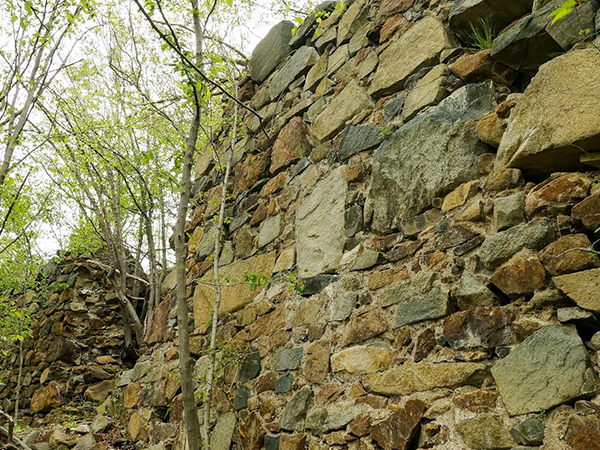 At the territory of municipality of Svoge still no ancient settlements studied through archaeological excavations. Here are not found any settlements neither from the Thracian period nor from the later times. In the region however are registered settlements belonging to the earliest period known in Europe – the Neolithic Age (6000 BC). These settlements belong to civilization which for the first time in the history of humanity begins to grow crops. Very strange is the fact that the settlements from that period are situated deep in the mountains. Perhaps in this remote era Iskar River was used as a transport artery and the settlements situated around it carried out the first ever known trade relations.